From this moment on everything will change. This guide reviews some tips on making press trips more effective. Be creative and be generous. Here are some ideas of connecting individual journalists or groups and locals. Create opportunities for face-to-face engagement and virtual conversations using Social Web. For the most part journalists are not interested in cheerleading or criticizing. Instead, the job is to cover what exists in a specific place. If there are changes, so much the better -- that's in fact how 'news' is defined. Pay attention to the fact that writers for different media have different needs. It's in your best interest to organize a trip that allow them to do their best work. If you are organizing a group trip, invite professionals with a history of reporting on your country AND those who have current assignments. If they have their own blog or website, check to see how influential it is. It's fine to mix national and international reporters, particularly since communication is global. For example, a 'local' reporter may also string for a website with international distribution. It's okay to mix reporters from various media. Be aware, though, of special needs. Be aware that many freelance for a variety of media, including newspapers, magazines, websites, radio and television. THINK FOOD -- Travelers enjoy eating ... and they want to sample the local cuisine. So as you plan food and drink, think of showing off the local food and drink. Be sure to ask participants if they have dietary restrictions. Don't take a busload of vegetarians to an all-you-can-eat meat buffet! DON'T PACK THE SCHEDULE -- Focus on the quality of the experience rather than the number of places visited. Allow participants as much free time as possible. Include several free hours each day as this is the best way to allow media professionals to do their job. PREPARE A MEDIA KIT -- You will want to distribute a media kit including recent media releases. Prepare this ahead of time and seek suggestions from colleagues. Media kits need to be updated on a regular basis. PREPARE YOUR VISITORS -- Let your guests know the places that will be visited, time spent walking or hiking. Journalists are rarely good sports about carrying heavy equipment without proper warning. Provide a packing list and general weather information. If there are good websites to visit -- including Planeta.com -- suggest specific pages for research ahead of time. INFORM THE LOCALS -- Make connections with the local officials but also allow opportunities for local engagement. This is best developed using Facebook and Twitter. During the trip, you'll find the media a lively bunch with dissimilar interests. By facilitating a dialogue and information exchange, everyone benefits. INFORMATION PLEASE! -- Provide background information, including manuals, fact sheets and maps before arriving at a destination. Keep the materials light. No one wants to carry around heavy bags of promotional materials -- the majority of which will be chucked into the wastebasket. BE HOSPITABLE -- Don't leave groups of media standing in the hot sun. If a lecture is required, provide a comfortable place to sit. DISTRIBUTE A MEDIA KIT -- Distribute the media kit as soon as possible. DON'T DEPEND ON THE MEDIA KIT -- Too often, hosts simply rattle off stuff in the media kit. As one colleague says, "we are here to be shown, not told." PROVIDE A GOOD DRIVER -- If you are not using public transportation, hire a professional driver who can devote 100% of his or her attention to the road. INSIST ON PUNCTUALITY -- Announce on the first day that the group leaves on time. Anyone who is not able to respect the schedule can take a taxi to the next stop. This is often a problem when writers are mixed with photographers, who need more time to set up their shots. SMILE! -- Be sensitive to the needs of those who do photography. Where to stop? Choose places that provide the best photo opportunities. Schedule your arrival at photogenic locales when the light is best for picture-taking -- early morning or late afternoon. If you are organizing a group trip, you might want to offer early morning photo excursions, allowing those who want to participate to get up early and the rest to catch up on extra sleep. SHOW OFF THE TOURISM OFFICE -- If your city has a tourism office, give journalists an opportunity to see where visitors get info. KEEP POLITICAL SPEACHES TO A MINIMUM -- Most politicians have no clue how to talk to international reporters. While a political angle is of use to some journalists (particularly those covering policy), too often these speeches are far too long for most reporters. ANSWER QUESTIONS -- You'll be asked to explain a great deal. If you don't have the answers, investigate. That said, don't hold up an entire group just because one person keeps asking questions. Usually it is someone who hasn't done his or her homework. BE FLEXIBLE -- If the media need to take a photo or make an unplanned stop, do your best to accommodate requests -- without putting the entire agenda too far behind. UNDERSTAND DEADLINES -- No point in hyping things that will be over before articles will be published. Editors and reporters are often working 6-9 months ahead due to publication deadlines. 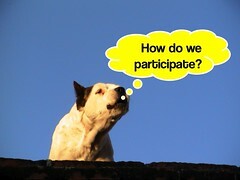 Stay in touch with the participants. Wait 2-6 weeks and solicit feedback. What did they enjoy most? Do they have any suggestions? Are they working on related projects and if so, do they need additional materials -- including contact information or photos? PROVIDE ASSISTANCE -- Stay in contact via email or Web 2.0 and let the participants know of updates that can assist their coverage. ASK FOR INFO -- Request copies of their articles, presentations or other materials. Be patient. Some journalists will produce articles immediately. Others will recycle the materials for later articles and even books years after the trip. DOCUMENT -- Document the results in a portfolio that can be accessed by office staff and local leaders. Demonstrate the value of inviting media. If articles are online, link to them from the official website. Don't show me behind-the-scenes things that my readers can't see. I prefer to see a site as my readers would see it. That means on my own, reading labels and markers or listening to a tape, or with a docent, guide or translator. If my readers' footsteps are not dogged every step of the way by a PR person, neither should mine.